When someone mentions chalupa, some of you might immediately direct your attention to what Taco Bell defined as their chalupa. I’ll admit, I have never tried a Taco Bell chalupa, for a variety of reasons, but the chalupa has always intrigued me. Sure, at the end of the day the chalupa eats like a taco, and boy is it ever a freaking amazing one at that. So skip the Taco Bell, and make your own. Trust me, my wife and kids devoured these chalupas. Your Spanish/Mexican lesson for the day is that chalupa means a small boat, hence the shape of the tortilla. You can stuff your chalupa anyway you desire, but my family is hooked on my chipotle chicken, seriously addicted, so we went that route, along with an array of items such as homemade black refried beans, pico de gallo, cheese, and shredded lettuce. 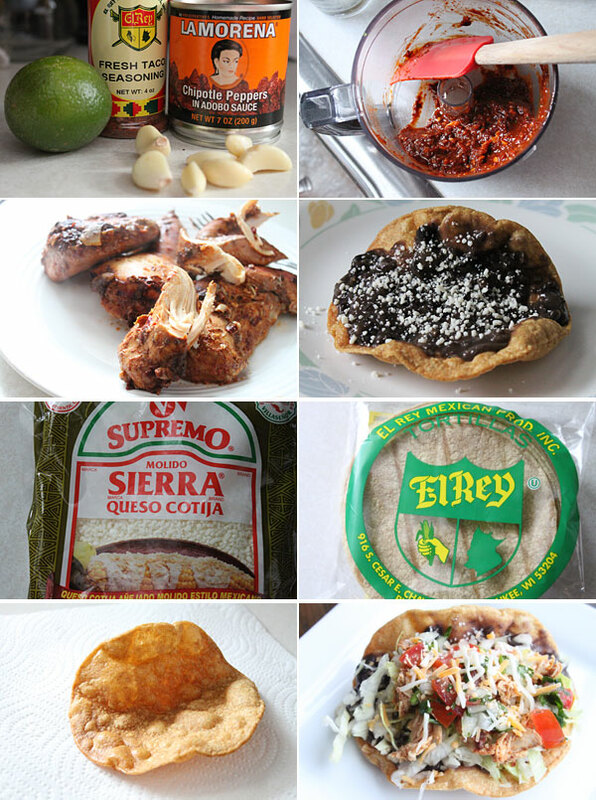 Again, this is the route I went with creating my chalupas. However you like your tacos, go that route. The trick here, is to get a formed tortilla boat. That is what I taught my son, and after a couple of him, he got a bit intimidated as a bit of hot oil jumped up and tagged his arm. Let’s just say I finished the rest of them, no big deal. Start by having all of your ingredients prepared. Next, heat a small skillet, adding in the oil. Heat the oil to about 350 degrees. You can test the oil a few ways. One by testing a small part of a tortilla, an oil thermometer, or sometimes the smell or look of it. Now frying these tortillas will go quick, about a minute per tortilla, and my trick is to take a couple pieces of silverware, or use a piece of silverware along with a pair of tongs, and when you insert the tortilla into the oil, gently bring up both sides, loosely, to form a wide boat shape. Use the tongs to carefully move the tortilla around in the oil until crisp, again, about one minute. Use the tongs, lifting up the tortilla, and let any excess oil drain, then place onto a paper lined plate until you are ready to serve. Repeat with as many chalupas as you would like. To serve, take a chalupa shell, smother with the black refried beans, top with cotija cheese, the chicken, lettuce, pico de gallo, and shredded cheese. Dig in. I’m not listing how much of what to put it because everyone loads their taco differently. You know what you like, so go in that direction. These were, in my opinion, way better than any hard shell taco you would by from the store. There was a freshness about everything that had us coming back for more. Let’s just say my oldest took down like four of them, they were that good. I hope you enjoy. To serve, take a chalupa shell, smother with the black refried beans, top with cotija cheese, the chicken, lettuce, pico de gallo, and shredded cheese. Dig in. I'm not listing how much of what to put it because everyone loads their taco differently. You know what you like, so go in that direction. These were, in my opinion, way better than any hard shell taco you would by from the store. There was a freshness about everything that had us coming back for more. Let’s just say my oldest took down like four of them, they were that good. Thank you for your recipe. Been looking for what to serve mine with. I used pork, but I am intrigued by the chicken. Going to try it next. I thought this was much better, Taco Bell dies no justice to Spanish food, it’s tuned to U. S. tastes instead, so is Del Taco, this pipe is good, I’ve eaten chalupas at real Mexican food places, that have mafe the two previously mentioned, a joke among eateries, I’ve been a certified gourmet chef for 44+ years, and I can taste authentic tastes, thank you. Thank you for this real Mexican meal! I was wondering how are where do you buy this Mexican cheese. Your recipe sounds really delicious, I will have to try it. Thanks for the tip of how to form the “bowl” with the tortilla. Also, correct me if I am mistaken, but I believe “Chalupas” are made with flour tortillas and “Tostadas” are made with corn tortillas. Maybe the names are always interchanged… it really doesn’t matter, either way, they are delish! Hi, Brune. Neither chalupas nor tostadas are made with flour tortillas. The difference is in the shape of the fried tortilla and the traditional fillings. 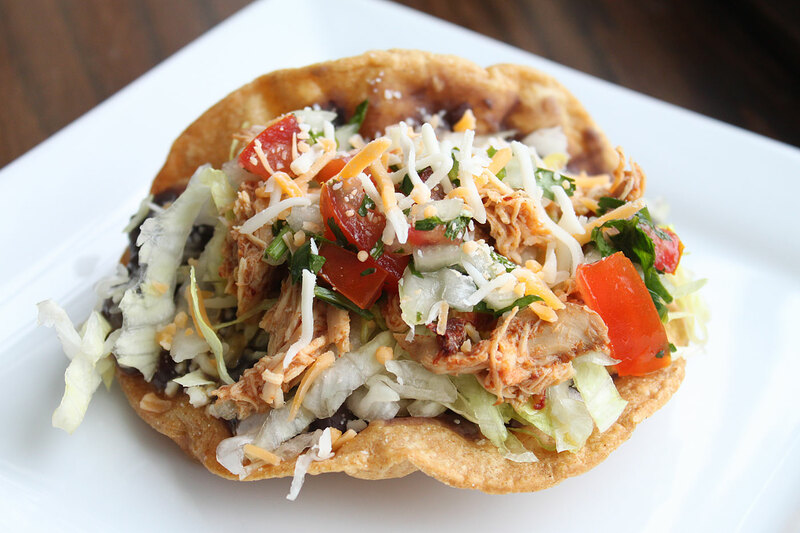 Tostadas are fried flat, not boat-shaped. some people make their tortillas for chalupas a little thicker than for tostadas. Traditional chalupas have fewer fillings, but one of the joys of both chalupas and tostadas are that you can put whatever you want in them.This is based on my experience eating chalupas and tosadas in Texas, near the boarder with Mexico. Folks from other areas may have different traditions.